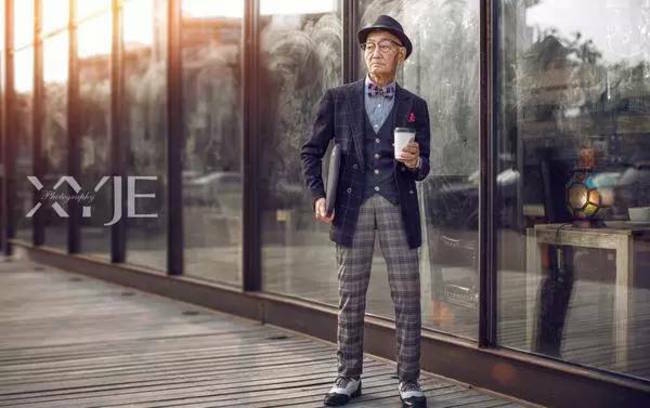 When we think of fashion icons, we typically think of celebrities or models or people in the magazines. 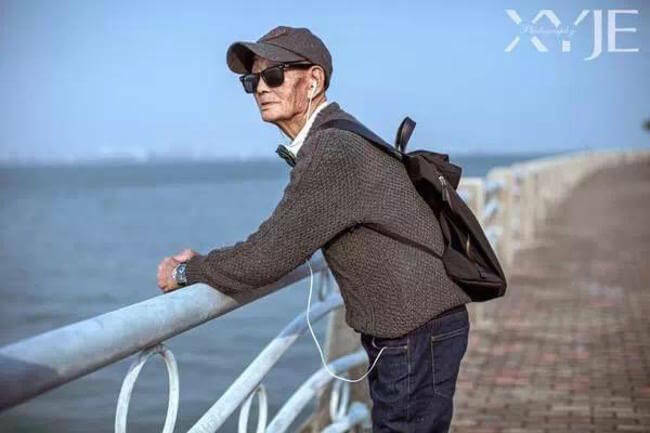 But in the quick, ever-changing society we live in, that all changed. 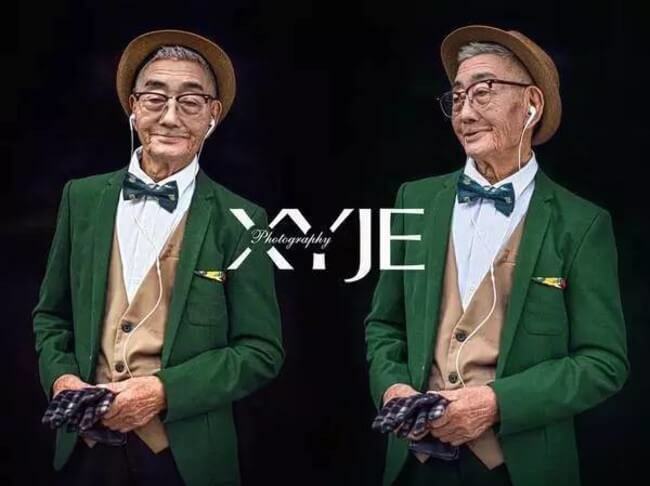 The newest style icon is the grandfather of photographer XiaoYeJieXi on Weibo. 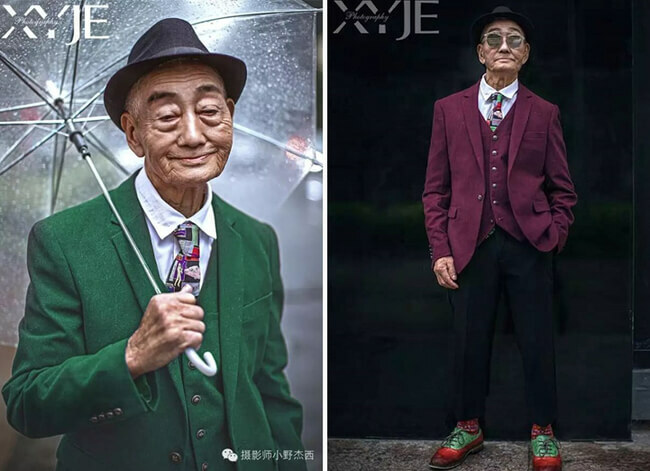 The granddad is 85 years old and has been dressed to the nines by his grandson. 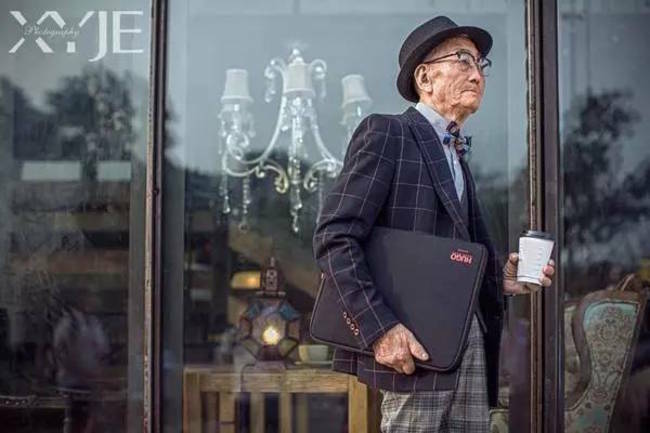 The project is totally cool because good style shouldn’t be generational – it should be embraced by all ages, genders, cultures, etc. 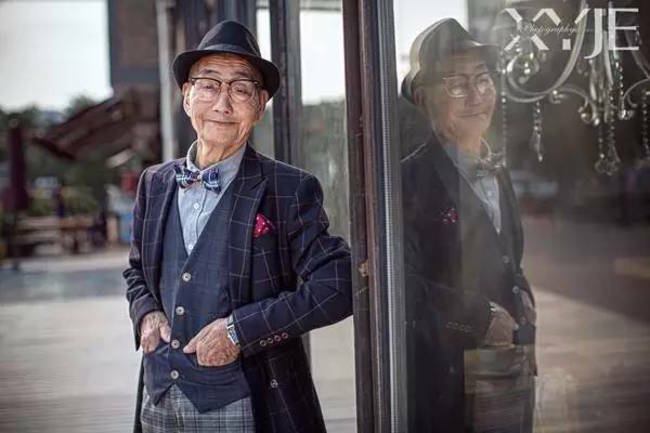 After the fashion makeover – which included colorful 3-piece suits, hats, and impressive props – the grandson photographed gramps all over the city. The series of shots are truly magnificent – not to mention adorable. 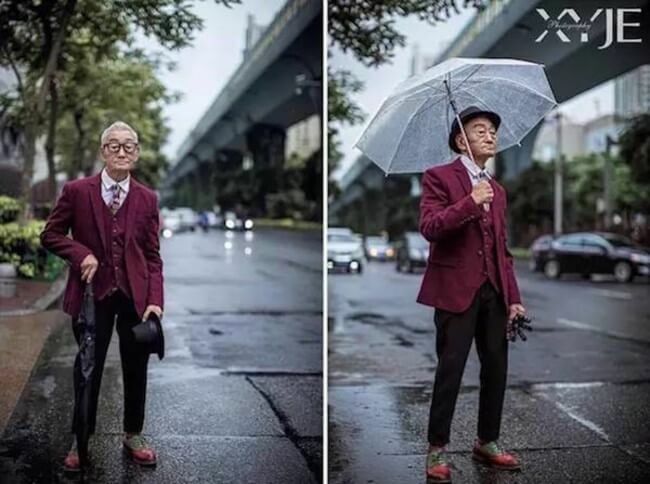 What inspired XiaoYeJieXi to take these pictures, you ask? 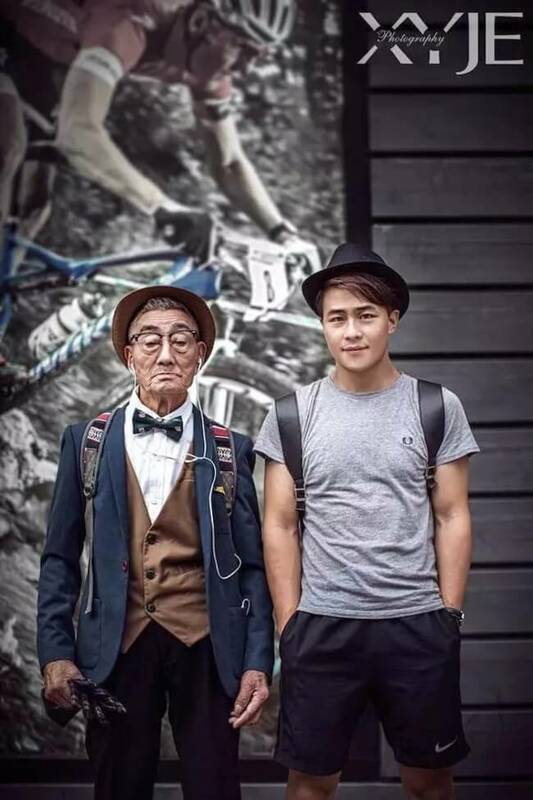 Well, he simply wanted to shake things up for his grandpa! 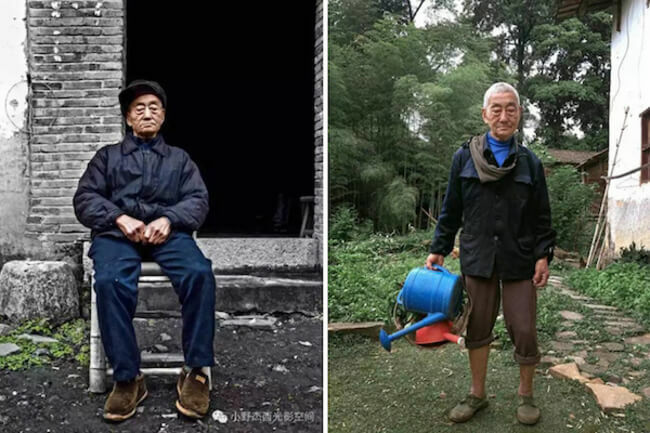 His grandpa is actually a farmer in Fujian Province, where he gardens vegetables. 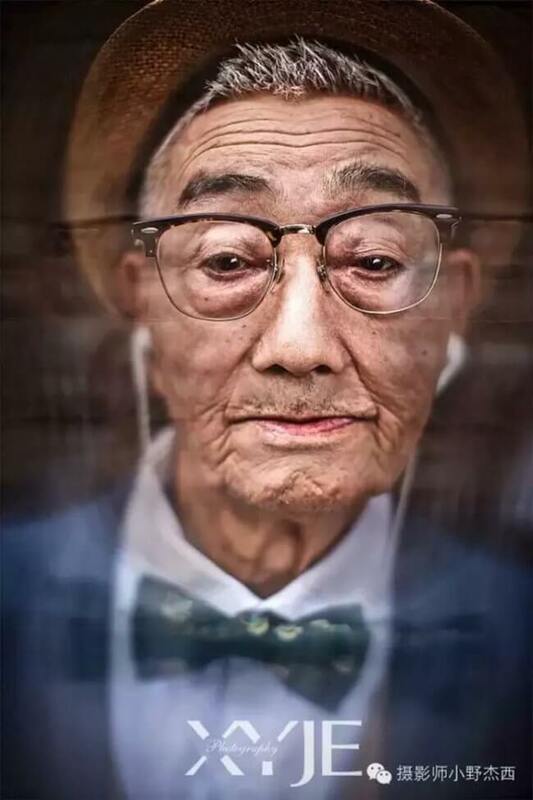 The release of this series by XiaoYeJieXi was widely and happily accepted by the users of Weibo. Sometimes it’s good to get out of your comfort zone.